Although summer is almost over (let’s not talk about it). I still think it’s important to talk about hydration, even leading into the autumn months. Included in the post will be healthy, easy recipes for those to recreate on a hot day (or… a cool day now that we’re heading into fall). But let’s be real, I feel like California is super hot well into September-October. 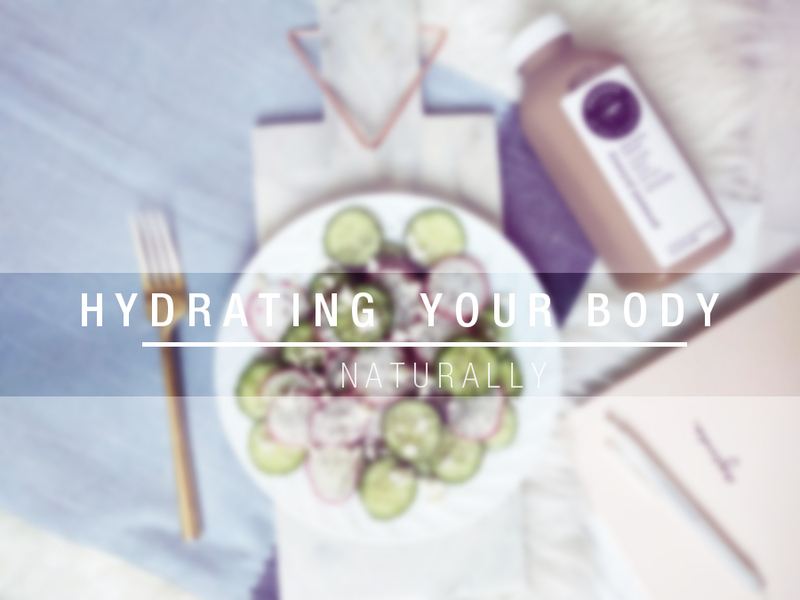 It’s obvious that drinking water is a great way to re-hydrate your body. But sometimes it’s great to have alternatives. Here are my 10 beneficial ways to achieve your glowing healthy skin, and here’s to a more hydrated body! 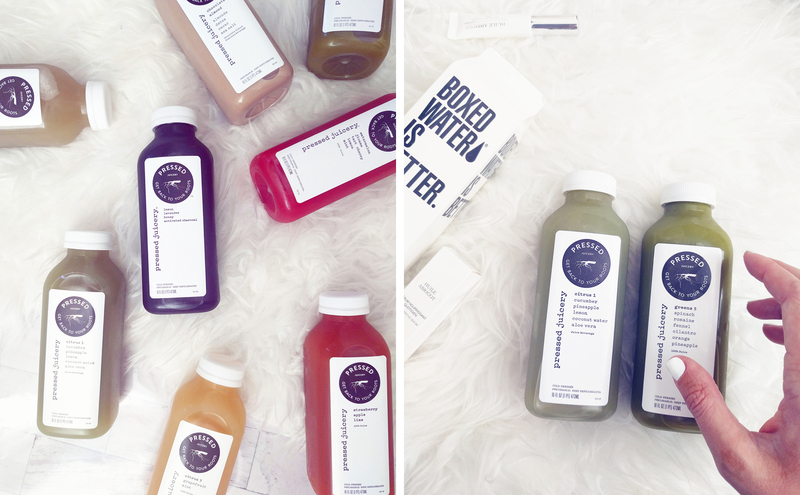 Cold pressed juices can be drank as a meal replacement, a juice cleanse or as a snack. There are tons of varieties of Pressed Juicery juices to choose from. My favourites are the Strawberry + Apple + Lime combo, or Citrus 1! The chocolate almond one is such a nice one to drink too, kind of reminds me of chocolate milk. This is a light refreshing salad with a bit of kick to it, thanks to the radish. I’ve been making this a few times per week this summer, for lunch, since I don’t want to be cooking too much in the heat. Ingredients: Cucumber, radish, feta, sprinkle of dill. Optional dressing: lemon juice, oil & vinegar, garlic. There’s nothing easier than a watermelon bowl is there. This one is yellow! 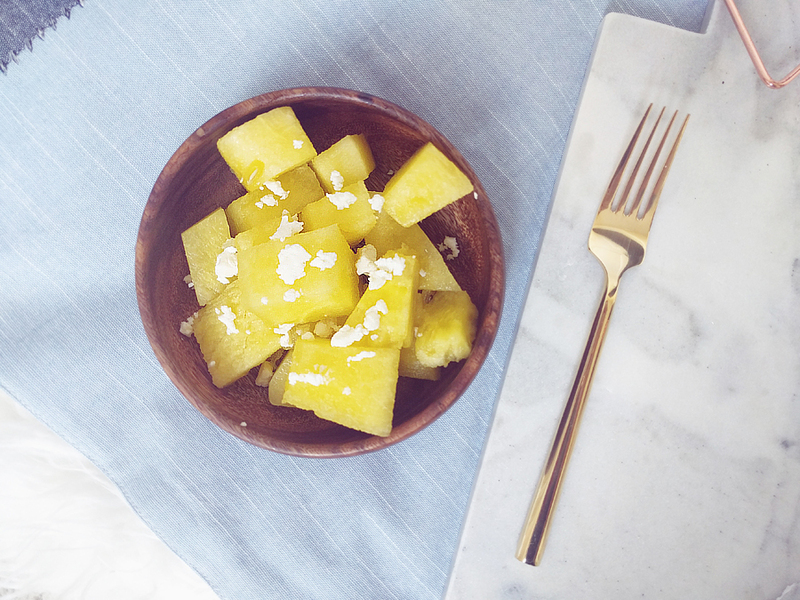 I had never seen a yellow watermelon until I spotted it at Trader Joe’s last week! I think it tastes different than regular watermelon. Just eat a whole bowl full, or grab one of Pressed Juicery signature watermelon drinks. Ingredients: watermelon, feta (or mozza! ), olive oil, lime juice, salt & pepper. 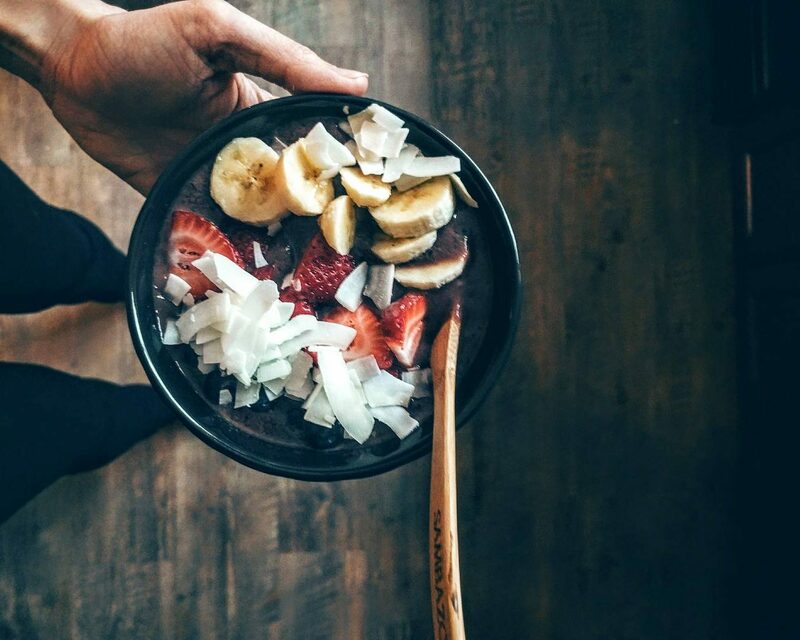 We have been making acai bowls every single weekend this summer. It’s a healthier alternative to icecream, and is just as satisfying. Ingredients for acai bowl (for 2): 3 Sambazon frozen packets, 1 banana, ½ cup frozen blueberries, a handful of fresh strawberries, top it off with a splash of milk (skim). Ingredients for topping (for 2): 1 chopped up banana, chopped up strawberries, granola, and coconut flakes. 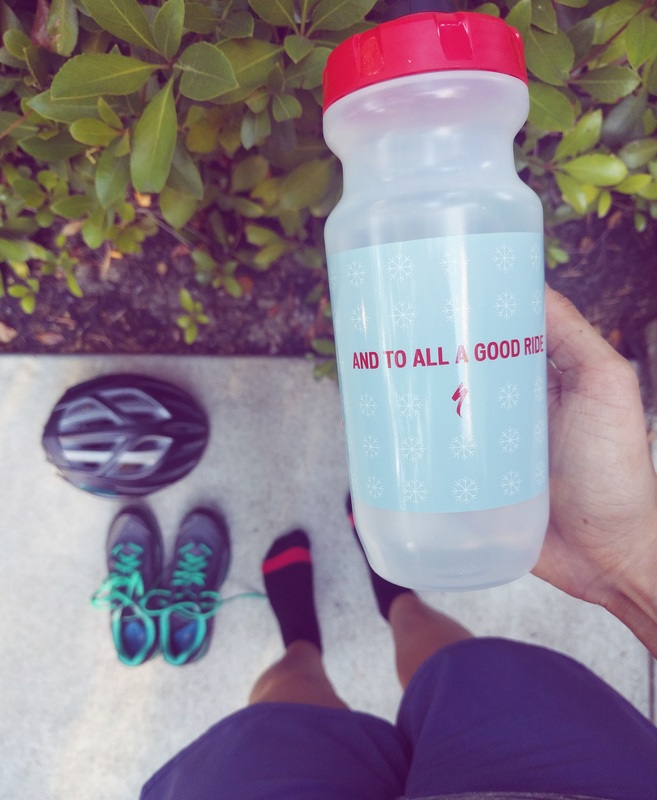 You should start with clean water when hydrating. 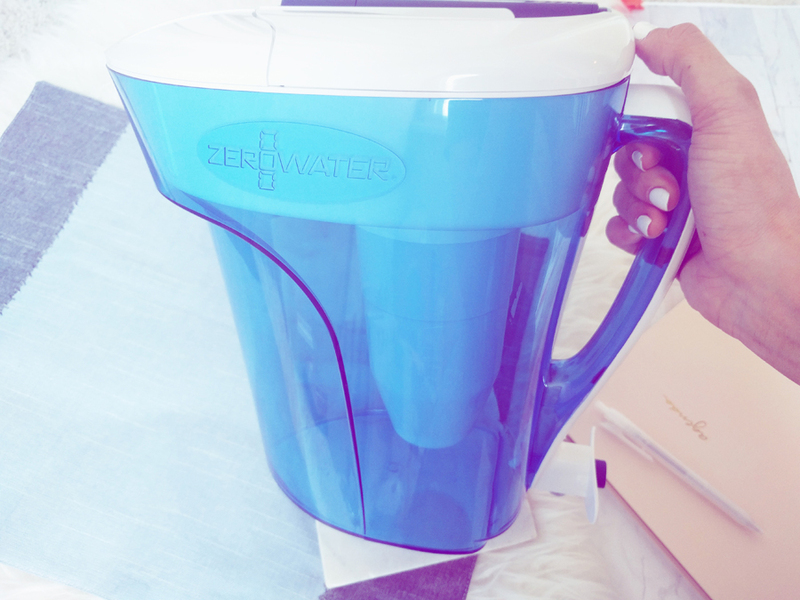 ZeroWater is the only pour through device/pitcher NSF certified to reduce lead and other heavy metals. It also eliminates TDS (total dissolved solids). Although I have no problem drinking refrigerated California tap-water, Scott says he tastes something different in it. So, now we’ve switched to using our ZeroWater filter. Although eating and drinking liquids is best, it’s always nice to pamper yourself with hydrating facial masks too. 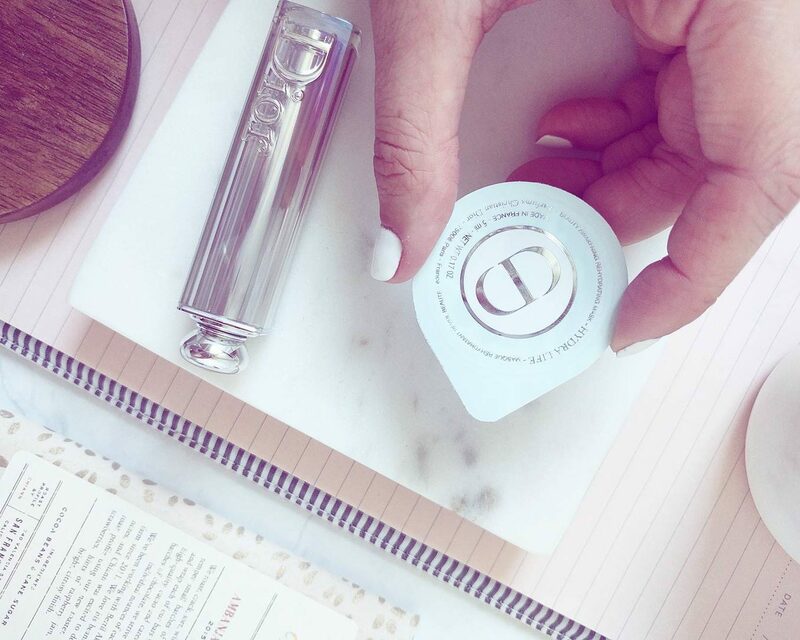 These mini Dior pods I bought from Sephora are great for 2-3 nights in a row. Apply as a mask, or keep on overnight, your face will feel so soft! What are some of your tips to keep hydrated? 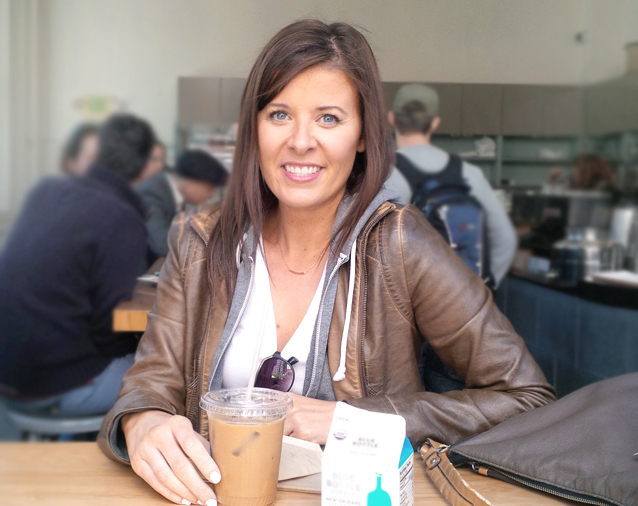 Thanks to Pressed Juicery, ZeroWater, and Sambazon for teaming up with me so I could present this post to you. I have been on a bit of an organizing bindge this week. I’ve gone to Daiso and Muji and stocked up on all.the.things. Mainly organizing bins for tax paperwork, and hair products underneath the bathroom counter. Which, I’m not entirely happy about how it’s organized (the under sink cabinet). Okay side note. Why does my keyboard all of a sudden think I’m living in England, wanting to switch organizing, to the British spelling? I know I’m Canadian and all and I’ll never give up those U’s in favourite, or colour…but I cannot get rid of those Z’s and replace them with S’s (organising!? Looks funny to me). Continuing with the organizing. Target has amazing planners and sugar paper LA always comes out with ridiculously cute things for the desk. I love the minimal look, with accents of pinks, whites, golds… ugh, gorgeous. Who’s with me!? Although a homebody, all that organizing makes me feel too cooped up in the house, so I’m pretty stoked to say I’ve received some new running sneakers, after running in my same black Mizuno Wave Rider’s for 2+ years. Perhaps that’s why I have that weird bump on my shin. Scott says it could be a shin-splint, but I land “properly” (flat-foot, never heel striking) when running, so why would it be a shin-splint? Plus, I don’t pump out THAT many miles to make a bump on my shin from running. Anyway, like I said, luckily Mizuno hooked the Mister and I up with some sweet new running sneakers that I’ve been posting about quite a bit on Instagram. I got a new pair of my favourite Mizunos (actually I’ve only ever ran in the Wave Riders, and never any other “wave”). So testing out the Wave Riders, and the Wave Sayonara was definitely a bit different although looking quite similar. Stylish sneakers in fun colours man. I tell ya. And don’t forget about my biking. I really need an exercise buddy around here. I’m running mostly on my own (minus weekends), and biking on my own a lot. Then again I’m not sure I’d like a biking buddy because I don’t want to head out into traffic. I’m totally cool with biking around residential neigbourhoods at a leisurely pace, or plowin’ through some local trails. Such a sick bike. I love looking at it. I get a ton of compliments from strangers on it too, asking me what model it is from Specialized. Swoon. Btw, it’s the Vita Comp Carbon if you’re interesting in one too! I love my get-up that I wear cycling. But I almost feel like a poser because I’m so new at it. I’m that cyclist all dressed up in fancy gear, who walks her bike across intersections. I’m afraid of cars hitting me! LOL. But let’s be real. I’m totally following up my athletics waiting on some Canadian candy to be mailed down to me. My Mom sent a parcel a few days ago, and I totally hope there’s a lot of Big Turk chocolate bars in there, hee hee. You better believe I’m tracking that parcel on Canada Post like it’s goin’ out of style. This blog post is all over the place, but whatevs. How come I didn’t see this cute Madewell v-neck tee when I went to Madewell in Santana Row?! (Not an affiliate link, although it’s a super convoluted looking link). It’s cute. I wonder if I missed it while I was there?! I’ll have to go back. I think I need. Speaking of need. I also need $500 for all the Fall clothes I want, but will never buy because I can’t be spending money on such silly things. Tell me something new in the comments. 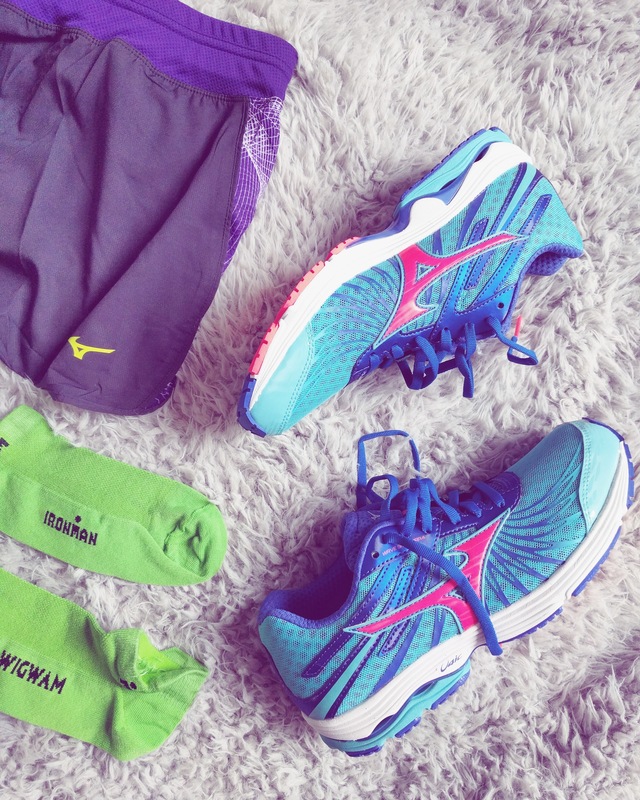 What sneakers do you run in? 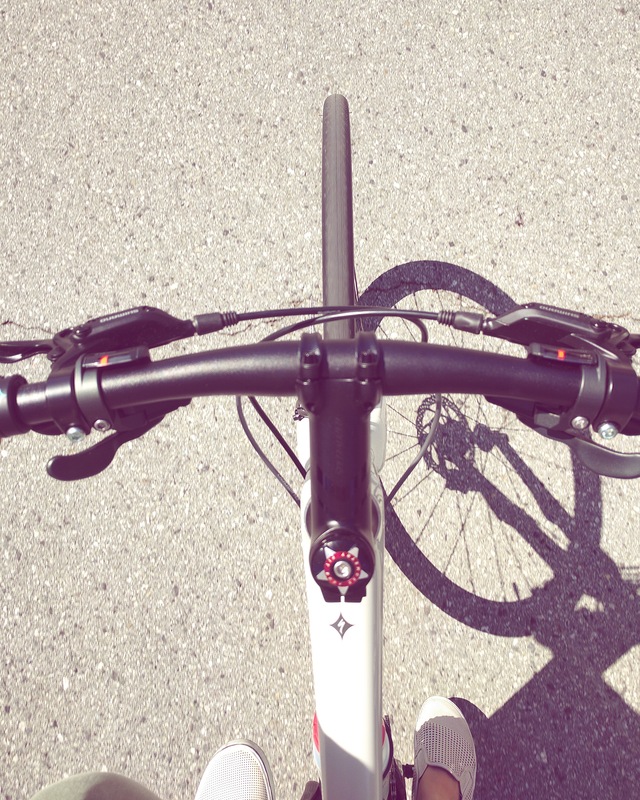 When is the last time you went biking? 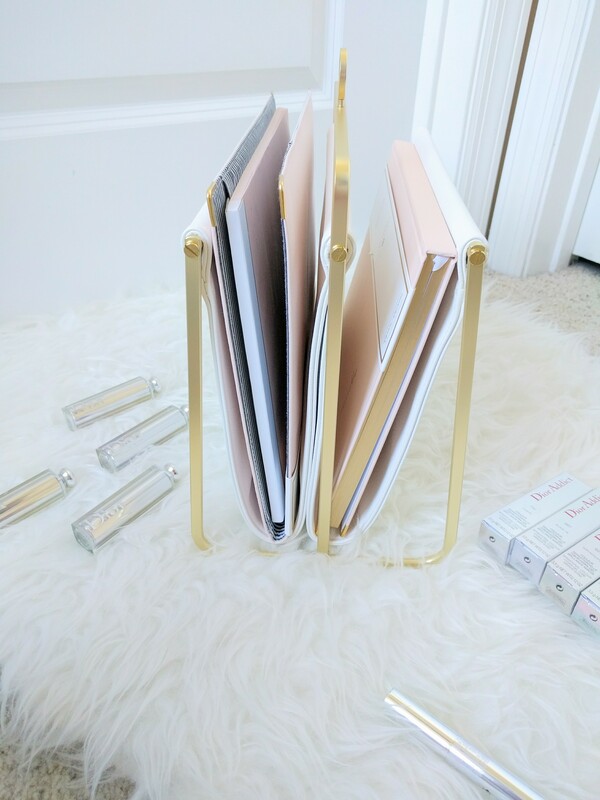 Are you a fan of organizing? This is going to be a post you want to read. Especially if you’re a female cyclist. C’mon over! I’ve been cycling pretty consistency since December, and although I have switched my cycling pedals from clipless to clips on one side and flats on the other (I know! Who knew they made these?! ), due to a minor fall, I have been biking often! Still a little scary to have that first fall while being clipped in, I gotta say! While for the most part I’m on my own, I still stick to side streets or beach towns on weekdays. Biking in traffic terrifies me, and although my husband being the avid cyclist/Ironman in the family, he tells me so many scary/horrific stories about close-calls or one of his buddies getting into accidents. Or worse. So. Calling all female cyclists! 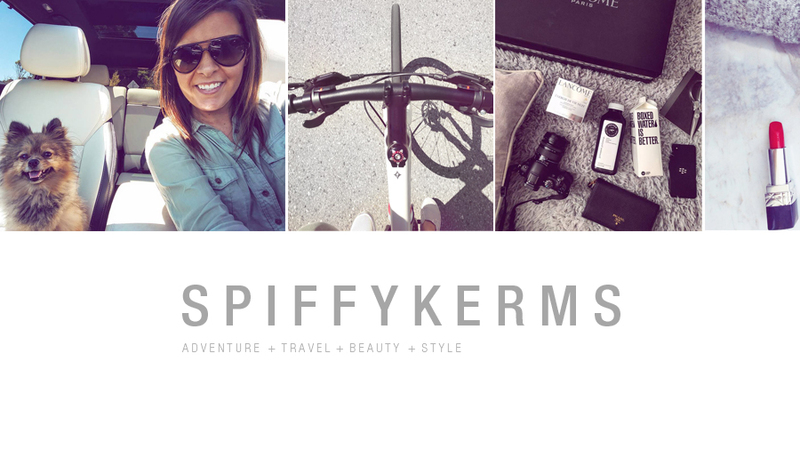 I guess you’d call me a Blog Ambassador (self-labelled) of sorts, with Specialized bicycles. My husband knows way more about cycling than I ever know (or care to know), if we’re being honest… I just want to ride for fun. I don’t want to be tweakin’ the derailleur or fiddling with the mechanics of it all. But don’t worry, I do know the basics and I always carry a tire kit with me. 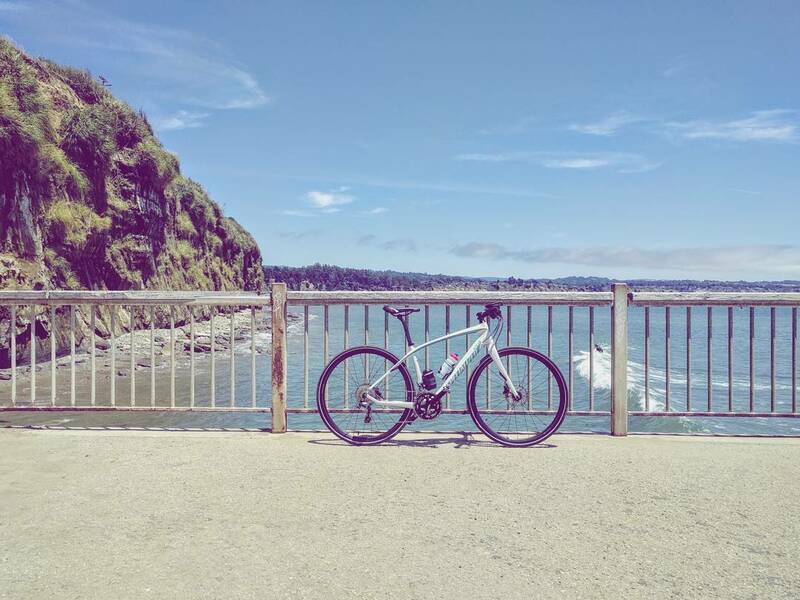 I’ve been taking my Vita Comp Carbon bike with me to Santa Cruz mostly, sometimes to the town of Capitola, and zippin’ around San Jose a little bit too. I’m all decked out in Specialized gear when I go and I now have scored a second sweet new jersey to be wearing while I’m out there exploring good ol’ California sunshine. What’s in it for you guys? TWO people get to win one of these jerseys as well. I’m sharing the Specialized love with you guys, my avid cycling readers! It’s been ages since I’ve done a giveaway on the blog, so I thought we were overdue to thank you guys for coming over to visit my site and reward you guys with goodies, ha! 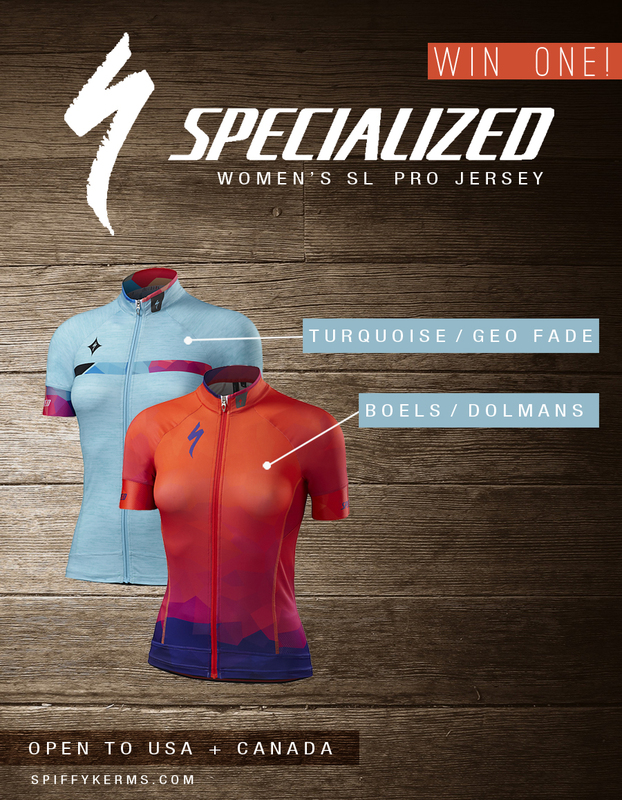 The prize(s): Specialized Women’s SL Pro Jersey, and one of you will be twinning with me, since I own the turquoise one too! If you are a sweepstakes/giveaway hunter, you’re out! No fake followers allowed to enter just because it’s a giveaway (it’s easy to tell in the Rafflecopter anyway). Winner must reside in Canada or USA. There will be 2 winners. 1 jersey per winner. Winner must supply address 48hrs or less after I email them requesting their mailing adddress. I think that’s it! Simple and sweet, and to the point. So get entering, and I wish you guys the best of luck!